JUST CLICK “Like.” Raise money to help sick kids and their families. Pretty easy, right? That’s what local lawyer Jeff Robinette and his wife, Terri, thought when they came up with an idea to fundraise for the Ronald McDonald House in Morgantown. 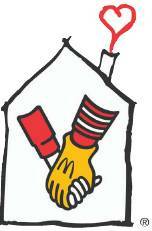 For each “like” Robinette Legal Group got on Facebook, the Robinettes donated $10 to Ronald McDonald House. Two days — and 1,000 “likes” later — they reached their $10,000 goal. In a post, the Robinettes explained their decision to do the Facebook campaign rather than just donate to the charity. In addition to the donation, 41,707 people learned about the Ronald McDonald House’s goal to raise money to build a new family room; 4,791 talked about the campaign on Facebook; people had a chance to discuss how the Ronald McDonald House has affected their lives, which could have led others to donate; and the Legal Group got 1,000 likes. “After all, it is no easy task to get people to like a lawyer,” they joked. Ronald McDonald House Executive Director Steve De Jesus said the family room will be in WVU Children’s Hospital right across from the pediatric intensive care unit, so that family members don’t have to go far from their children to get a meal or a shower or to decompress for a few minutes. The family room will be open 24 hours a day, seven days a week. The Ronald McDonald House is only a few minutes away by foot from the hospital, but De Jesus said, for parents of critically ill children, a few minutes is an eternity. They’ve been fundraising since April and have raised $135,000. The room is expected to cost about $275,000. De Jesus said they were stunned by — and very appreciative of — how quickly the Robinettes were able to get “likes” on Facebook. Jeff Robinette couldn’t believe it either. “People were clicking so fast, you could watch the numbers climb by the hundreds in a couple hours,” he said. They were happy to help. “The Ronald McDonald House has a long history in Morgantown of providing services to families and children,” Robinette said. Robinette said they know people who have had children with health problems and could have benefited from a family room. To donate to the Ronald McDonald House’s family room project, visit www.rmhcmorgantown.org or mail a check to 841 Country Club Road, Morgantown, W.Va. 26505.